You must be living under a rock if you haven't noticed how the whole 'marble hype' seems to have taken over the blogger-sphere. Whether it be, interiors, home accessories and even stationery it is everywhere you look. I can't help but love the whole clean, minimalist look of marble and this phone case provides the perfect finish touch to my outfits. I am very fussy when it comes to phone cases, I like them to be simplistic and pretty yet of good quality to at least keep my phone protected! Anyone else purchased phone cases in the past from eBay that have been cheap for a reason?! 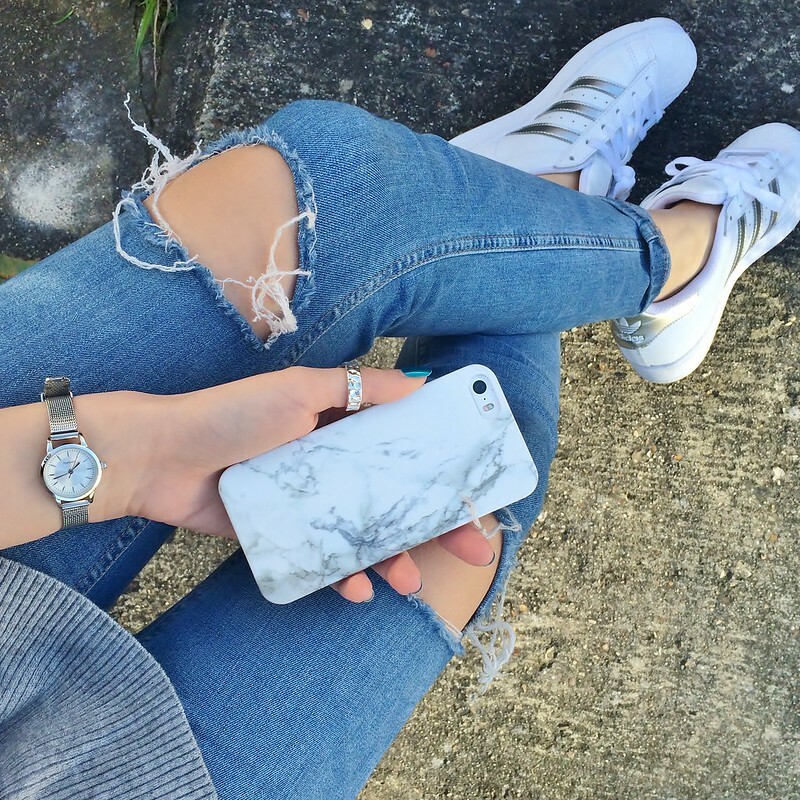 This particular Marble Phone Case from Coconut Lane is my new accessory love. It looks sleek yet is sturdy enough to encase my phone and keep it safe when I unintentionally throw it about. I seriously love how it looks against really minimal looks that have a cool toned palette. This phone case is a bargainous £13, but you can use the discount code katielovess20 at the checkout to receive 20% off any purchase on their website. What are you waiting for! ?